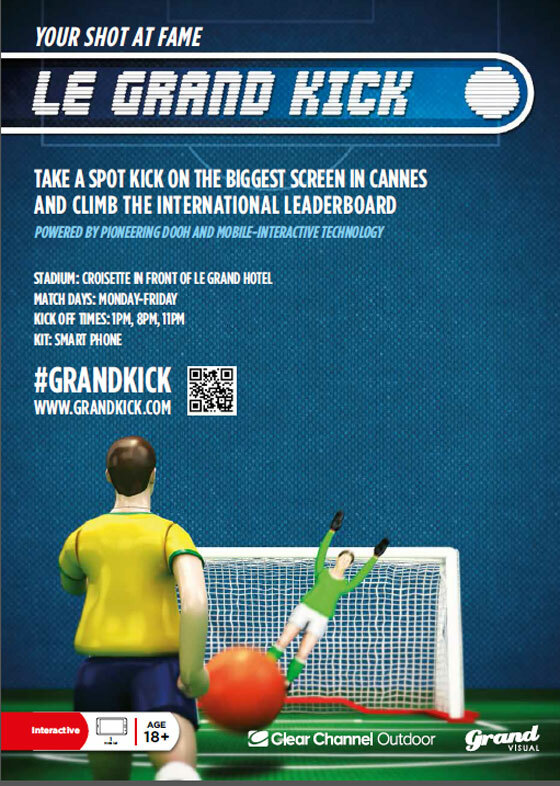 The game, called 'Le Grand Kick', is powered by mobile interactive technology and will be played on a digital outdoor rooftop screen, equivalent in size to two double-decker buses, on top of the Grand Hotel in Cannes. Attendees at the Cannes Lions can take a virtual "penalty kick" using their mobile phones to log into the game and swipe their screens to take a shot. 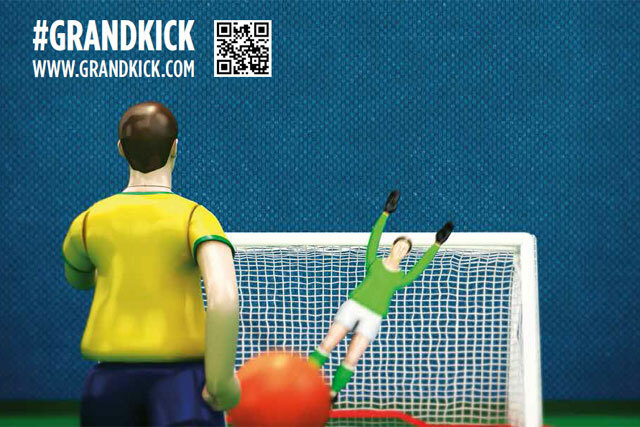 'Le Grand Kick' will pit creatives against advertisers and media owners. Clear Channel Outdoor will create a live football league to keep track of the results, with the day’s highest scorers appearing on the screen each day. Players can register to play at Clear Channel Outdoor screens placed around the festival and they will also be able to "sign up" for a World Cup qualifying country and compete for a national team. Pru Parkinson, the global chief marketing officer at Clear Channel Outdoor, said: "We loved the idea of merging the addictive fun of a simple, well-loved football game, with pioneering digital out-of-home and interactive mobile technology. "With World Cup anticipation reaching fever pitch, this is a great way to help attendees at Cannes Lions experience and understand the huge potential of combining OOH with the mobile platform. "The combination is an incredibly powerful mix, offering advertisers unmatched visibility and engagement, across any medium." Parkinson added that Le Grand Kick was just one example of the creative possibilities derived from combining OOH and mobile.